In their latest development, the scientists genetically engineered algae to produce a complex, three-dimensional protein with two “domains”—one of which contains an antibody, which can home in on and attach to a cancer cell and another domain that contains a toxin that kills the bound cancer cells. Such “fusion proteins” are presently created by pharmaceutical companies in a complex, two-step process by first developing the antibody domain in a Chinese hamster, or CHO, cell. The antibody is purified, then chemically attached to a toxin outside of the cell. Then the final protein is re-purified. 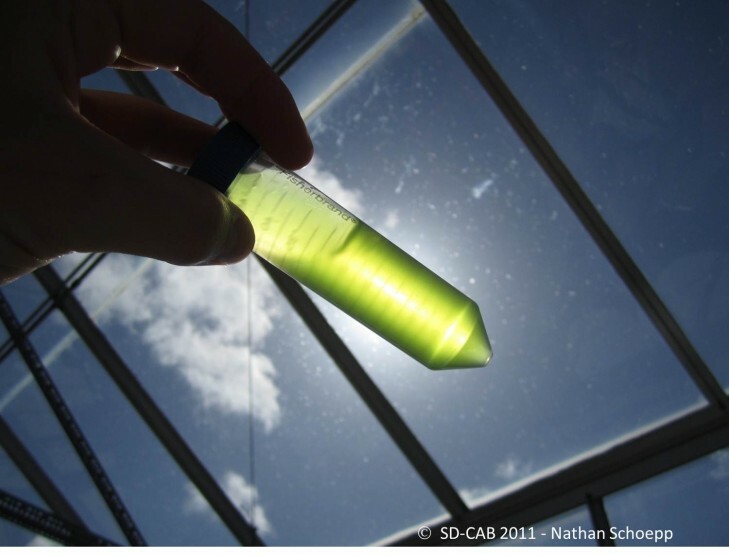 The fusion protein the researchers in his laboratory produced from algae is identical to one that is under development by pharmaceutical companies with a proposed cost of more than $100,000. This same protein could be produced in algae for a fraction of that price, they report in their paper. And the UCSD researchers—Miller Tran, Christina Van, Dan Barrera and Jack Bui, at the UC San Diego Medical School—confirmed that the compound worked like the more expensive treatment: it homed in on cancer cells and inhibited the development of tumors in laboratory mice. Mayfield said such a fusion protein could not have been produced in a mammalian CHO cell, because the toxin would have killed it. But because the protein was produced in the algae’s chloroplasts—the part of algal and plant cells where photosynthesis takes place—it did not kill the algae. The research project was supported by grants from the National Science Foundation and The Skaggs Family Foundation.